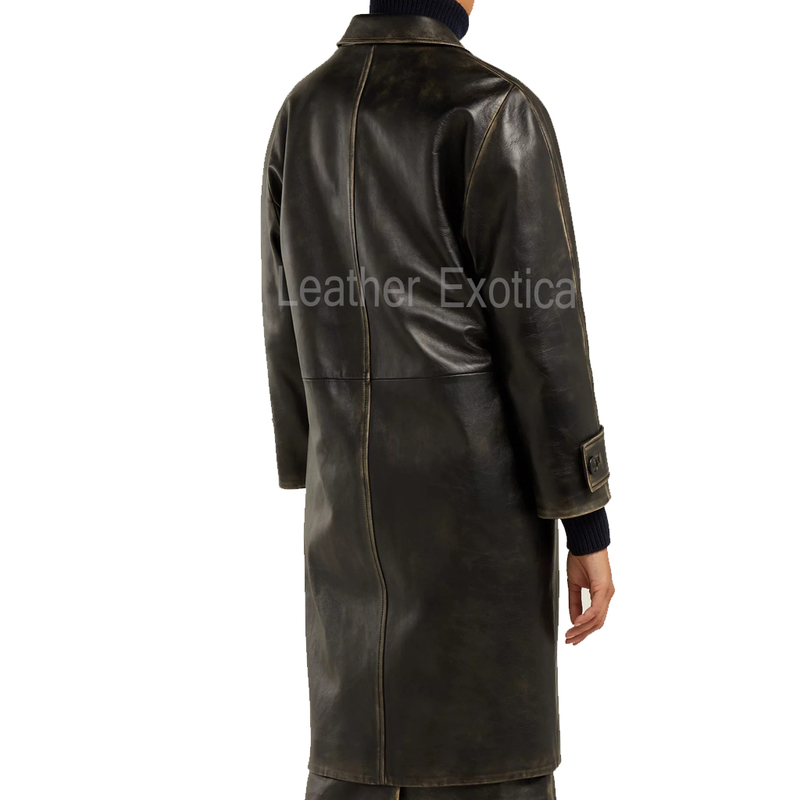 Get this amazing style long distressed Women leather coat which is made from distressed leather and has notched lapels and a long silhouette. It also has front fastens with four tonal buttons and has side flap pockets. 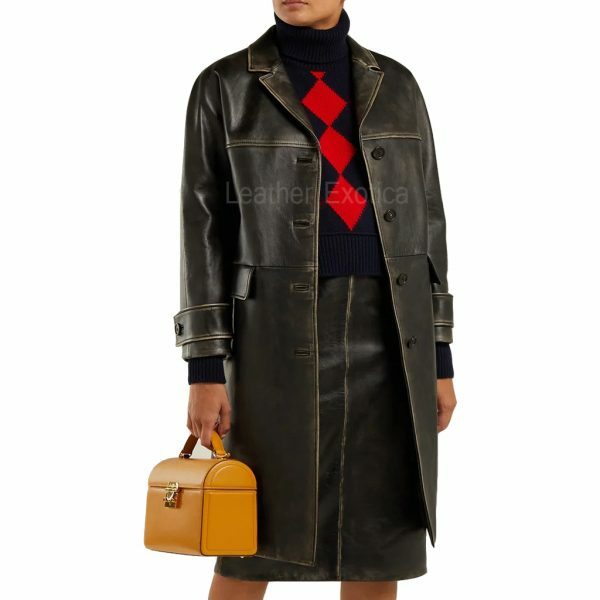 This leather coat has long sleeves with buttoned cuffs. Also, this leather coat is fully lined and available in many colors and all sizes. So women what are you waiting for get this amazing style leather coat now. Hurry Up! !